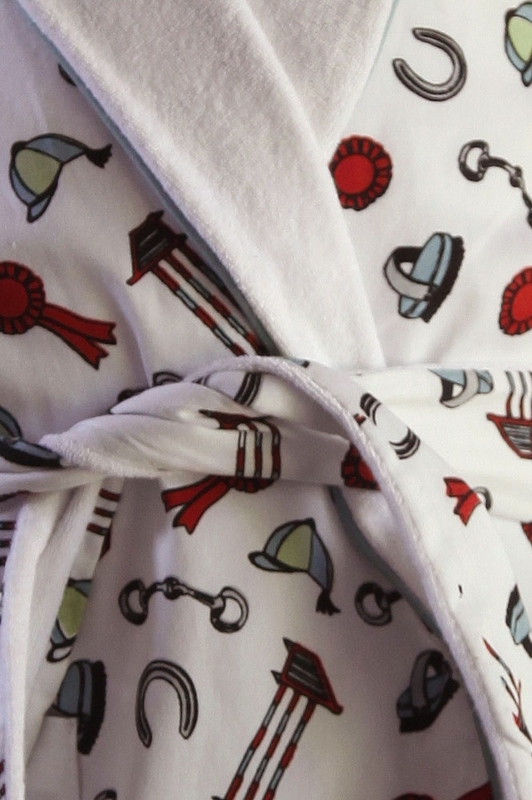 For equestrian lovers the Horse Nightwear Collection is the perfect to encourage little ones to get ready for bed. Featuring jumps, rosettes, hats, and bits. In this warm towelling the Dressing Gown is perfect for after a bath or simply keeping warm in winter.